I n Cool Springs, Rutherford, NC there is a Wells Springs United Methodist Church Cemetery where Cain Gross and wife Mary were supposedly buried in Row 15, at least according to the 2001 index. 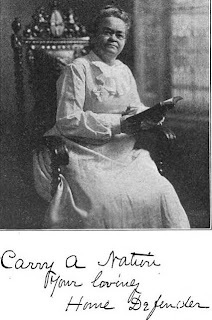 Mary Morris and Cain Gross had two daughters, Ella and Mary L., last found in the 1880 census at the age of ten and twelve. How could the cemetery help me find the surnames of these daughters? 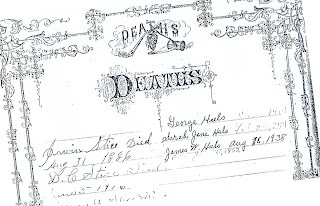 Cain Gross’ tombstone date agreed with the death records on file. But I had not found a Mary Gross with the correct dates in the records. So who was this Mary Gross buried six plots away from Cain? Who knows, but not my Mary Gross! There were several Mary’s in this large Gross family. I had notes on all the graves in row 15 and surrounding rows when I went back to Rutherfordton Court House to look up information. Obsessed with the tombstone of Mary Gross, I began there. 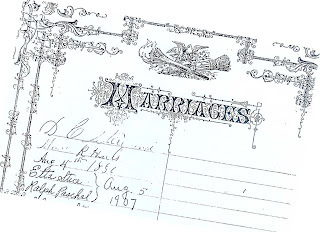 From the marriage records, I whimsically took note of a Mary Gross who married a James Gudger. This couple had a child by the name of Edward who served in the military. His military record confirmed his mother as Mary Gudger and although he was born in Rutherford, at the time they were living in New York. Could this be a clue? 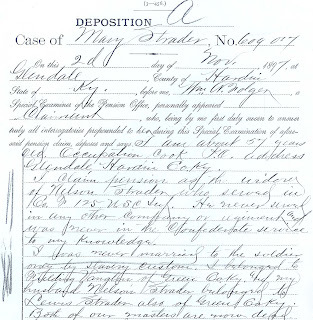 With large ledgers surrounding me, I began to search Mary Gudger. I only wish all searches were this easy! 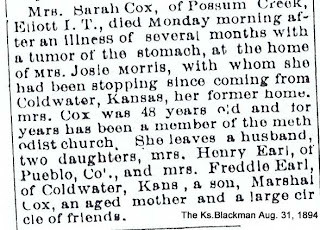 Luckily for me, Cain Gross had been a farmer and upon his death in 1896, left real estate to his wife and daughters. And in researching the 17th Feb. 1898 Register of Deeds, I was able to find the sale of this land. This document revealed the surnames of the daughters and confirmed that Mary Gudger, the wife of James, was of the former wife of Cain Gross. Daughter Ella, mentioned as Jane Miller, (E.J on seal), was married to William Miller; and daughter Mary was married to Jacob Mills. 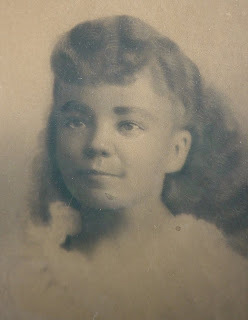 It just so happened that Janie Miller was buried on Row 15 at the Wells Springs United Methodist Church Cemetery in 1924. As a true believer that dates and surnames are not genealogy, (see dedication written below), I recommend Dr. Bill Tells Ancestor Stories, seven part Preparation Sunday, (6 already posted). Dr. Bill gives you one aspect of writing your ancestor's story each week by providing tips, examples, and resources. 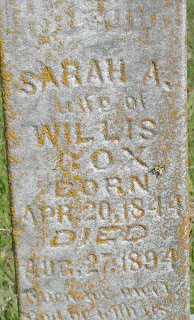 "SARAH A [Morris] wife of WILLIS COX BORN APR20, 1844 DIED AUG 2 7, 1894"
On top: Open bible "When we meet, God be with us till we meet again"
We often forget to search for the forgotten cemeteries, the assumption being that once we find an ancestor buried in one cemetery, we usually find a half dozen more close by. But the forgotten cemeteries give us so much more. Although the records are often long gone, thanks to our “Cemetery Walkers” many of these forgotten graves have been uncovered. In Lenapah, Nowata County, Ok, part of the Indian Territory, there is the Hickory Creek Cemetery, located two miles north of Lenapah on 169 Hwy. To access it you have to go east on EW8 (easy to miss) and then turn south on the gravel road. The adorable church is on the west side of the gravel road and the cemetery is in remarkable condition for not really being maintained. But you must watch out for rattle snakes in the summer’s early mornings or dusk. For burial names and marker information go to http://www.rootsweb.ancestry.com/~oknowata/HickoryCreekCem.html. There is a story behind each marked and unmarked grave and there’s so much to gain from seeing who your ancestor is surrounded by, the nearby family names, the type of tombstone or marker, and any etchings. 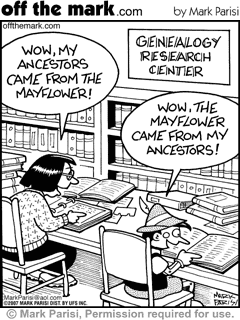 Be sure to record all that you can, preferably spreading your search (and notes) to two or three rows surrounding your ancestor. 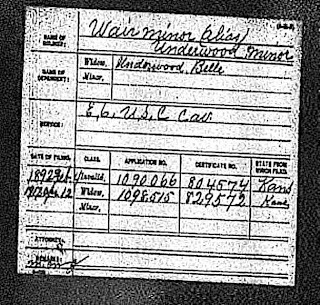 In the case of the Hickory Creek Cemetery records, there is even a column of information that might reveal who paid for the interment. All of this information provides wonderful clues to relationships, as well as financial standings. At Parker Elementary, Ms. Norma demanded perfect posture for our penmanship session. Straight backs and solidly planted feet were needed to execute perfect circles for letters like a, b, d, e, and perfect starters for our h, k, and g letters. We would spend half of our penmanship time tracing the pre-written letters in our penmanship book, and then we would be rewarded with copying from the chalkboard, freehand no less, the lesson of the day. 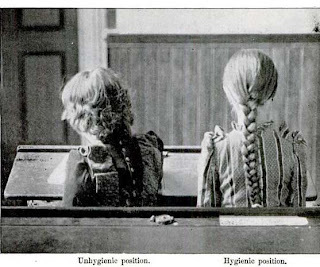 Each day Ms. Norma had painstakingly topped four or five evenly spaced horizontal lines on the chalkboard with vertical letters to be envied to state our daily "moral" lesson of life. Each letter was to be accurately and deliberately vertical with consistent spaces and loops. Personally, I looked forward to penmanship, and would proudly flaunt my lined papers of gobbly-goop letters in front of my brothers. My favorite was the flair that capital letters demanded, announcing their kingdom on the paper. But, what I didn’t know is that my ancestors probably had not learned this vertical style of writing. 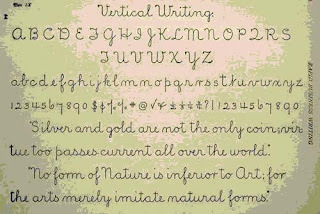 This revolutionary style of writing replaced the 52% “slanted" or “sloping” style, often considered an unhygenic style of writing. 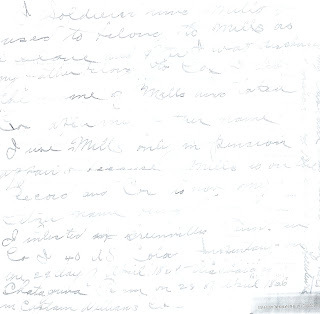 This unhygenic style of writing is often seen on older genealogical documents. Due to the impossible posture needed to execute perfectly slanted letters, the person sacrificed comfort giving way to a twisted head and neck while sitting sideways to the desk causing curvature of the spine and adjusting one eye to be the same distance from the letters as to reproduce parallel lines for writing, causing near-sightedness. This style shortens “the sight of one eye and lengthen the other”(2) which accounted for the increase of glasses needed by many school-age children. This ignited the fuel that encouraged scientific studies worldwide to seek answers . Since the position needed to execute well formed slanted letters was both uncomfortable and unnatural, illegible letters were produced by the less conscientious writer. And even with the accomplished, the slant chirography was harder to read than the vertical and slower to execute. Perhaps this explains why those old documents are so difficult to read. Photo: 1946, Hutchinson Diamond Pow Wow. William Arthur White (Arthur), mulatto, born 23 September 1890 in Trenton, Missouri, died 15 May, 1973 in Hutchinson, KS. Hopefully this was just a git-up, especially the gun, since Arthur was blind in his right eye. 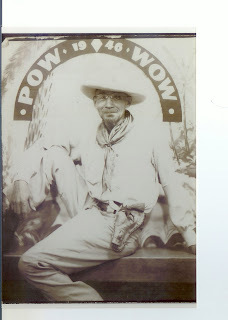 The seventy-fifth anniversary of Hutchinson, KS celebrated its founding with the “Diamond Pow Wow.” This four day celebration was held May 15 - 18,1946, and featured street entertainment, parades, and a historical pageant. Three pages of pictures were taken and featured in the June 17 issue of Life. Not all young women in the 1830’s were stoking stoves, washing diapers, and canning. Some were being educated. 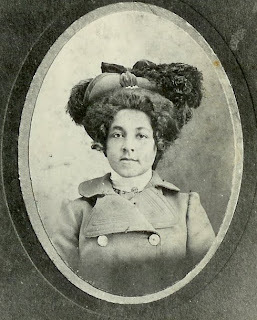 But if your woman ancestor was from an advantaged family know that it is possible she spent a year or two studying English grammar, moral philosophy, algebra and celestial geography at any one of the women’s institutions or academies, like that of Columbia Female Academy. She may have even studied for four years. All are familiar with the east-coast prestigious women’s institution, but what about the Midwest. All were not being groomed for farm work. 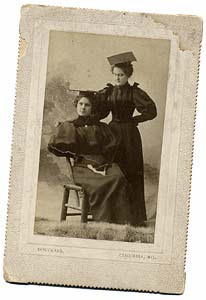 Columbia Female Academy was established in 1833 with a class of 25 women in Columbia, Missouri. And, it quickly became known for its progressive teachings with a curriculum for women. Although it began as a basic academy it later became the Columbia Female Baptist Academy, a college for women. 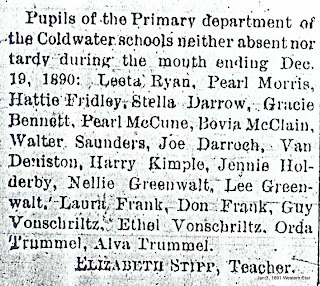 Women traveled to the school from miles away, having their own train stop by 1855. 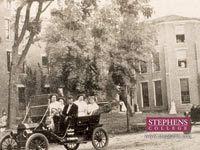 With several name changes to follow, the school was named Stephens College in 1870. The institution has, since 1833, provided women with extraordinary opportunities. Perhaps your female ancestor was an accomplished horsewoman. Did she attend Stephens’ equestrian program that was established in 1926. If you remember your grandmother telling you she attended college at 16 years old to finish her high schooling. It is possible, if she attended Stephens College’s four year junior college program that was implemented in 1926. If you heard Grandma was a pilot, it too is possible if she attended Stephens College’s aviation program in the mid 1940’s. Oh…us mid-westerns aren’t as backward as people want to believe. And, yes, I attended Stephens College. But knowledge of women schools have led me to finding allusive female ancestors eloping with education. Hope you remember to dig between the census years to find out what the women were doing. It isn’t uncommon for an ancestor to Americanize his name once he hits the American shores. 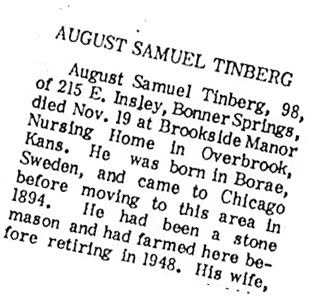 But for August Samuel (Samuelsson) Tinberg, his surname was not Americanized, it was changed. What was known is that August Tinberg, also known as Gust or Gust, lived in Kansas with his wife Augusta and twelve children. The local news paper obituary in 1966 gave us most of our historical data of Gus. It revealed that he was born in Borae [sic] Sweden 98 years prior, around1868; and, that he first came to Chicago before moving to the Bonner Springs, Kansas area in 1894. A quick check of local documents, verified some of the information. 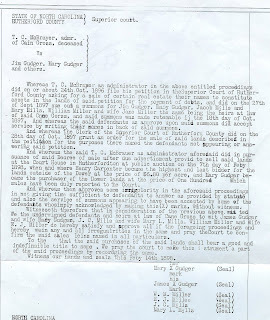 His 1895 Missouri Marriage license had his name recorded as Gust Tinberg; and, his Declaration of Intention Records to become an American Citizen in 1920 provided his birth date as being the 5 March 1868. However, his birthplace is noted as Gottenberg Sweden. A quick check of immigration records gave us more data. 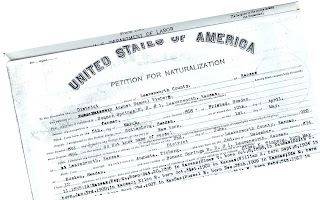 His Petition for Naturalization in 1922 stated his name as August Samuel Tinberg, born in Fristad Sweden, and noted that he emigrated from Gottenberg Sweden in 1891. His port of entry was consistently New York, “on or about 1st day of May.” Unfortunately, the vessel, Majestic, did not have port records for the dates given on the Declaration papers, which was complicated by the fact his Naturalization papers, one year later, stated that he did not know the vessel. So, ship records were not verified for August Tinberg. With this information in hand, I used Genline, the Swedish Genealogy online database to find August Tinberg. If you haven’t used these records before, know that they are a blessing to all Swedish Researchers. Swedish records efficiently track the births and whereabouts of every citizen. 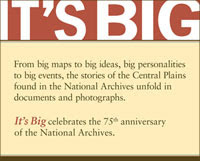 Plus, it is easy to search these records by birth date. After failed attempts to find any Tinberg’s in Sweden. I changed my research to concentrate on other matches: I needed to find an August, hopefully August Samuel, born on 5 March, 1868, who came to America in 1891. 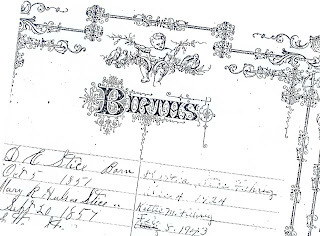 I started my search with birth records in the county of Älvsborg, since it includes both Böras and Fristad parishes. There was an August, born to a Samuel, on 5 March 1868 in Fristad. However, his last name was Samuelsson. Following this family led me to their movement around Sweden, the death of his father, and August’s eventual move to Böras. 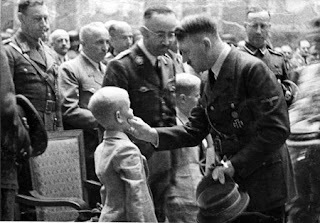 The surname Tinberg did not have any association with his profession, his father’s profession or the area on any record. By his third year in Böras, this August Samuelsson landed in the parish of Kilsund from 1890-1891. On the Kilsund record I spotted the small note on line 24 of the Household Examination of Kilsund next to his name as, in fact, having migrated to “N. 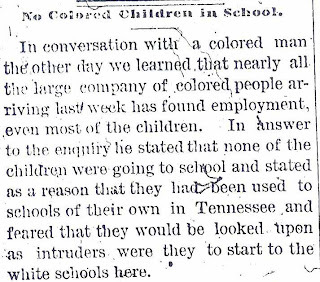 “Amerika” in 1891. My August was verified by his birth date, his birthplace, as stated in his Naturalization papers, and his immigration year to America, even though why and when he changed his surname to Tinberg is not known. Ship records of August could not be verified, even with the name Samuelsson (or Samuelson), and no records for him have been found in Chicago. We only know somewhere in the four years between 1891 when he left Sweden and 1894 when he began working in Kansas his surname was changed. Although more research to solve this mystery is needed, at least I have verified the surname needed to complete the search. 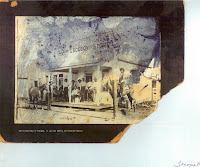 Hopefully you will have the experience of finding your missing ancestor. The Irish Genealogy Site is chocked full of helpful guides and search options. You’ve probably have already heard that “You can view over 1.3 million pre-1900 church records [Baptism, Marriage and Death] from Duplin and Kerry free of charge.” And, by using the “Irish Genealogy” site, http://www.irishgenealogy.ie/index.html, you can make educated traveling arrangements and be fully prepared to research in Ireland. 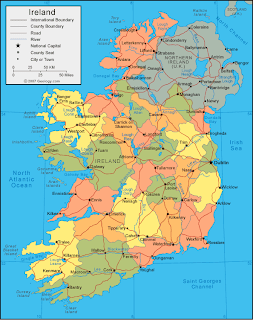 Irish Genealogy allows you to search by person, location or date. A “Step by Step Guide” gives the researcher a quick reminder to “work back through the generations” hopefully preventing you from putting a stranger on your tree. This site is quite generous with links and overviews of available records. It even gives the researcher a brief history of documentation survival and the location to the various records: Quakers, Jewish, etc. church records, the Registry of Deeds, and Irish census returns. Most of the Irish census returns were lost for the 19th century, but the link to the national archives is provided for the 1901 and 1911 census returns. It would behoove any Ireland researcher to be familiar with the Valuation Office and (Sir Richard) Griffith’s Valuation which was used for assessing taxes to support the poor. As the census records were destroyed, these records can be used as a substitute. Through it the researcher can locate the presence of surnames (by townlands) throughout Ireland. I believe this is an essential step when beginning a new Irish surname. Of course these surveys are only available between 1848 and 1864, but you will find them most useful. For researching online, the site provides links to valuable “Irish genealogical websites.” In checking the repositories mentioned, I was not able to connect to the National Photographic Archive, but this was not a deterrent for me, as I did not need access to it on my current project. All of the other links worked without fail. The C.S.I. tab - Central Signposting Index (not Crime Scene Investigation) - is designed to easily assist the genealogist in tracing that “elusive Irish ancestor.” I found it fascinating that the site further gives a breakdown of the records by type for ten locations. Even if you are not going to Ireland any time soon, be sure to go to the “Planning your Trip” tab to obtain the “Tracing your Ancestors in Ireland” poster. I have this poster readily available anytime I’m doing Irish research. On the 2nd page (or back), “The Major Records Repositories in Ireland” and “County Genealogical Centres” can be seen in a glance. This one poster has a listing of Useful Irish Addresses,” as well as Tourism Ireland addresses in the USA, Britain, Canada, and Australia. Unfortunately, I have not been able to utilize the tourist side lately. And as a true believer of historical education, and social and cultural knowledge, I encourage all Irish researchers to stock your personal libraries with a few of the books mentioned. They are provided on the quick-glance poster or under “Getting Further Help” on the Site Map. Mid-Continent Genealogy Library in Kansas City where I volunteer for a good four hours or so, in order for him to research not only his family tree, but the family tree of a friend. 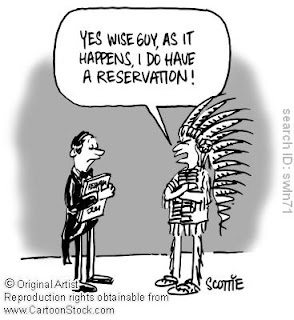 Unfortunately, he was terribly stumped and had not gone really past the 1900’s with this friend’s ancestors, even though he was able to go back to the 1700’s on his own. My next 2 hours working with the young high school student did not consist of the ins and outs of Ancestry.com, or how to use a mouse, but on history. 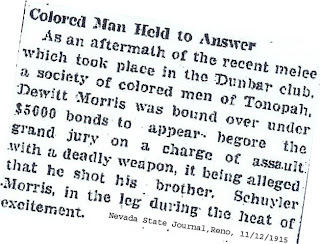 Although the fellow had successfully traced his European descendent family from the 1700’s (through census, military, marriage, birth records), he didn’t realize that volunteering for his African-American friend would require a lot more detective work, and a grave knowledge of history, culture, and social practices. Well, two hours later, he had a lot of knowledge, very little additional information, and he realized that he would have to do some serious digging, and cross-referencing especially to locate maiden names. I left him with a few valuable tips for seeking African American Heritage, a couple easy to read books on African American history both Pre- and Post Civil War, a list of possible records to search to verify maiden names, and a pat on the back for good luck. He looked a littl e overwhelmed, especially when I mentioned microfiche and microfilm, so I started him with my favorite historical fiction book that shares light on the climate, the fears, and lives of a slave from a young man’s point of view. 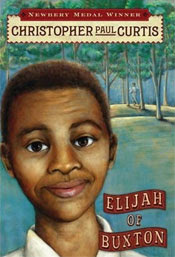 You have probably heard by now about “Elijah of Buxton," by Christopher Paul Curtis, based on the true story of Elijah the first born free child of Buxton, Canada; a real town established for runaways. It’s a book of hope, which may give this young genealogist not only the inspiration that he needs to take on such a Herculean task as to research an African American family, but broaden his knowledge of one of America’s most intriguing periods.